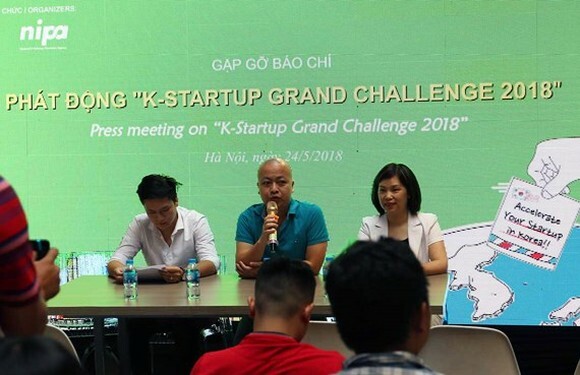 The Vietnam Software Association (VINASA) has cooperated with Korea IT Cooperation Center (KICC) under the National IT industry Promotion Agency (NIPA) operated by the Government of South Korea to launch K-Startup Grand Challenge 2018 in Hanoi on May 24. Launched in 2016, the K-Startup Grand Challenge is conducted and financed by the South Korean government with aim at helping startups from across the world to expand into Asia by using the Korean market as a stepping-stone. The selection process is composed of three rounds, including worldwide application, global auditions and final selection. A total of 80 startups selected in the global auditions will be invited to work at Pangyo Startup Campus and receive about US$11,130 to cover living expenses in equal installments over 3.5 months in Korea. Out of the 80, the top 40 startups will be chosen in the final selection and provided with additional support of US$22,727 of each for settlement in Korea in six months. The program chooses Vietnam as one of the main places for the regional rounds in this year. The elimination round will be held in Hanoi on July 9-10 and in HCMC on July 11-12.